Love the contrast of the black leather and silver spots in wing. The black really makes the silver pop. 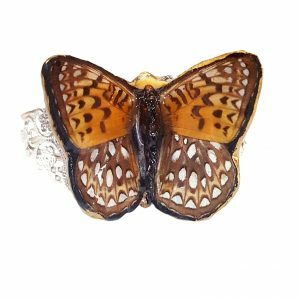 This Real Butterfly Wing leather cuff is made with ( Gulf fritillary AKA Passion Butterfly) Butterfly Wing Jewelry, crafted with excellence. Butterfly Wing bracelet is exactly what you need for an original edge. One of my favorite pieces. The black leather makes the silver spots on the wing pop. 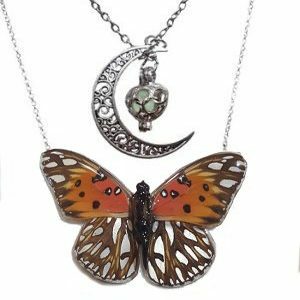 I also like this pieces because its the only butterfly that has silver in it. 2 extra snaps for adjustable length. This bracelet give you an original edge. That brings out you. 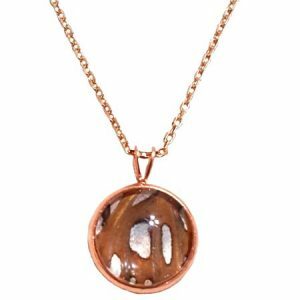 View our most popular matching necklace. Only butterfly that has silver in it.